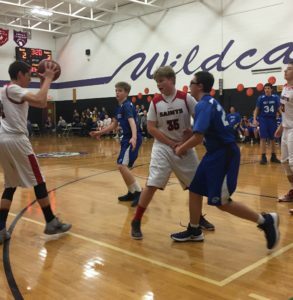 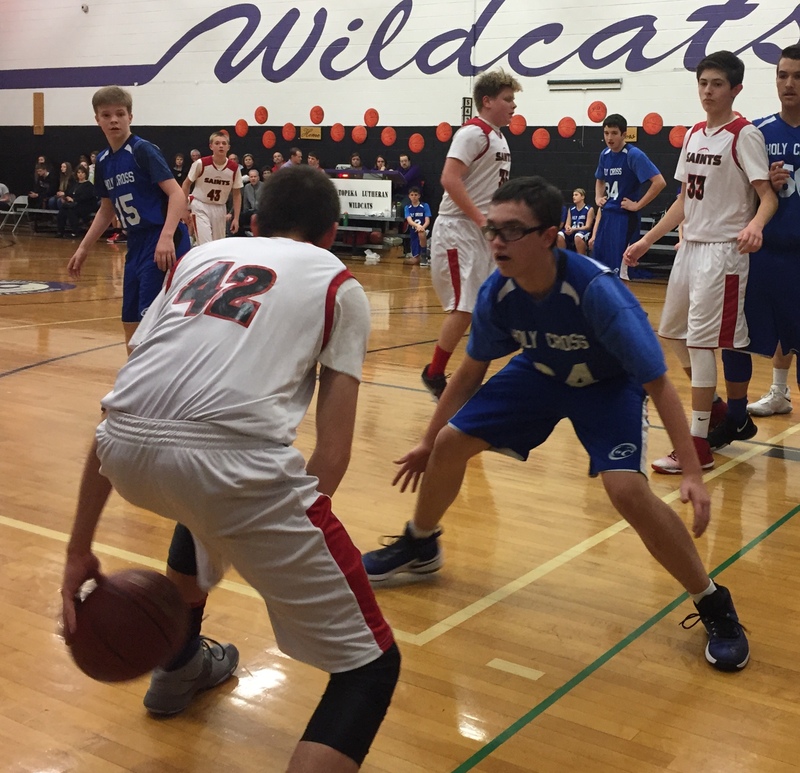 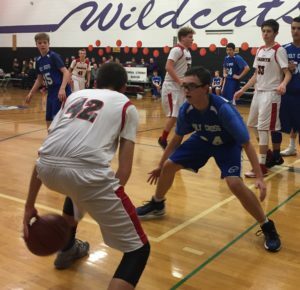 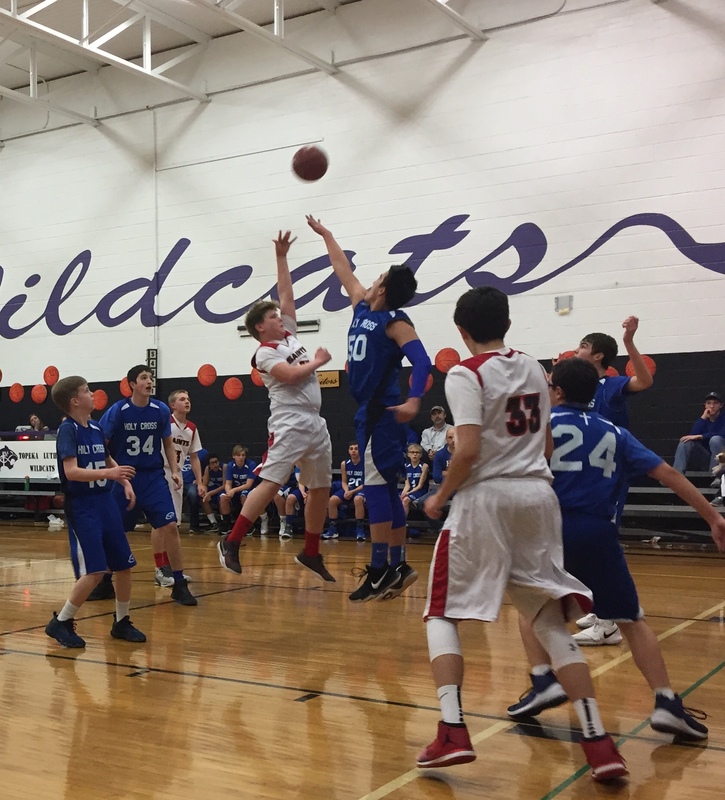 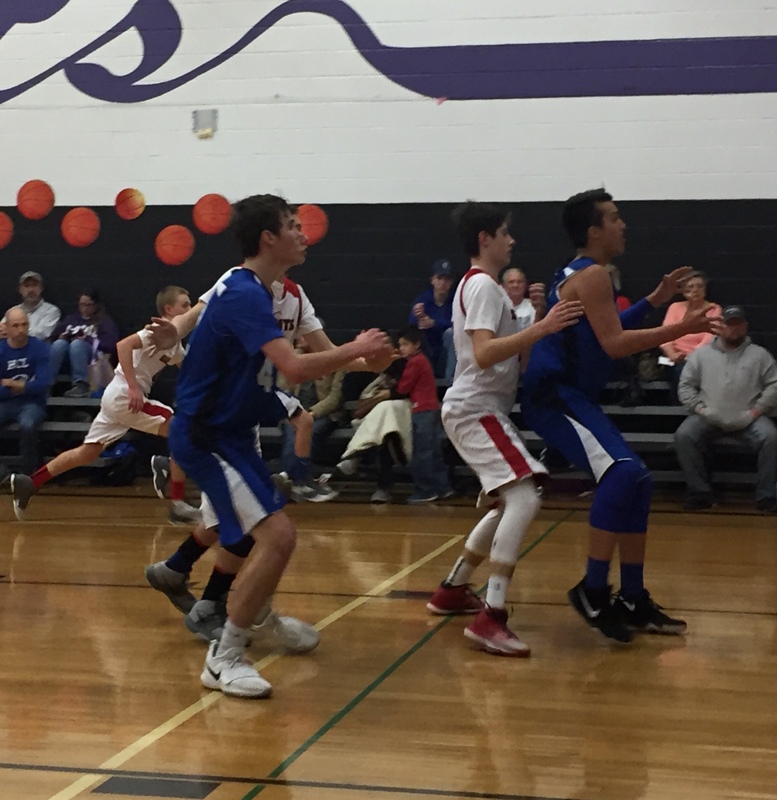 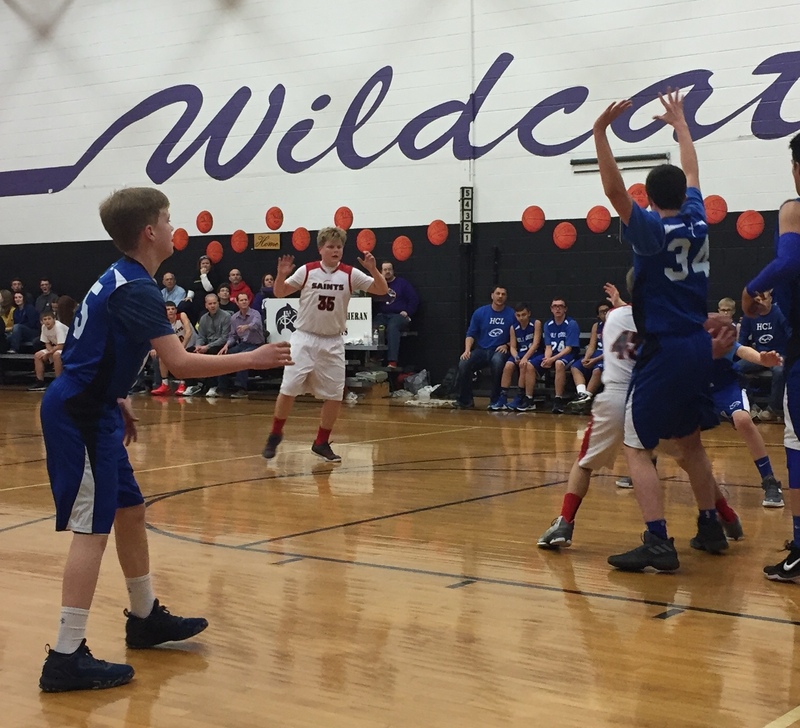 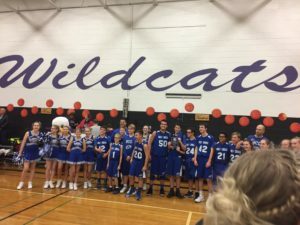 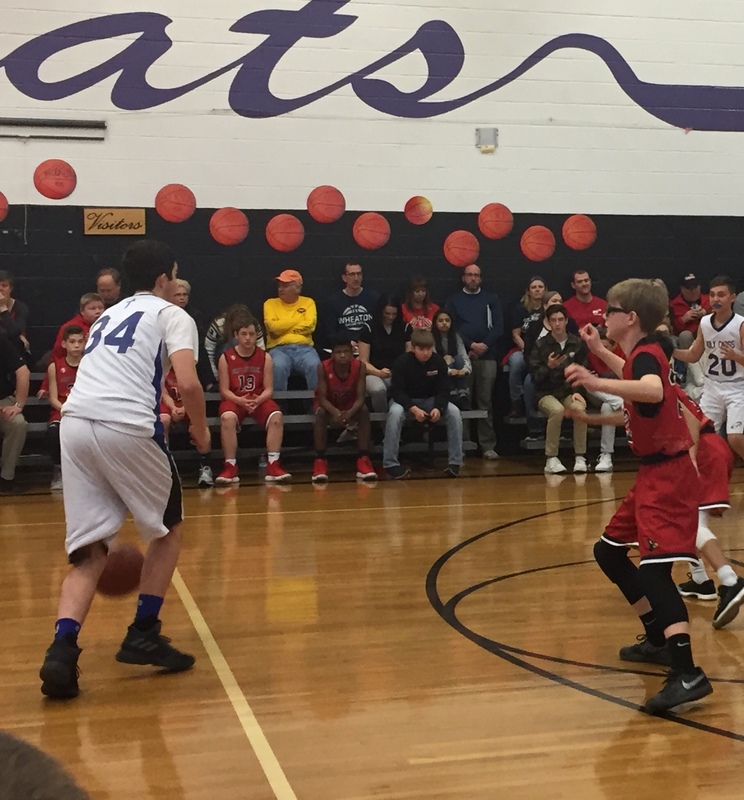 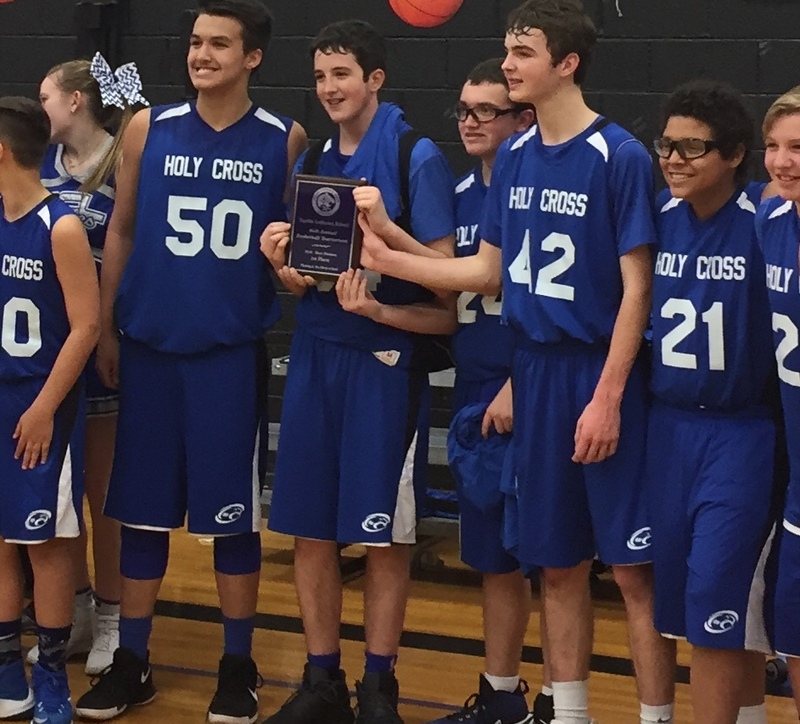 The boys basketball brought home the gold with a 38-32 victory over Cornerstone in the championship game of the Topeka Lutheran School Basketball Tournament. 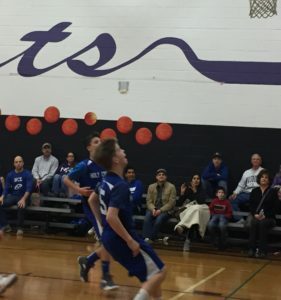 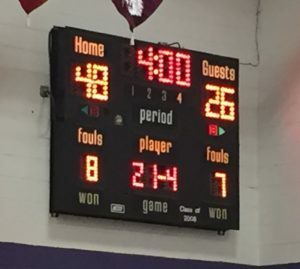 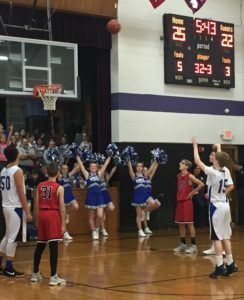 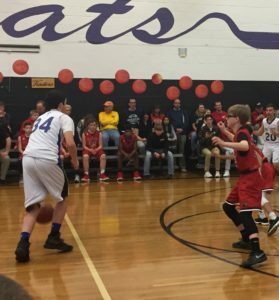 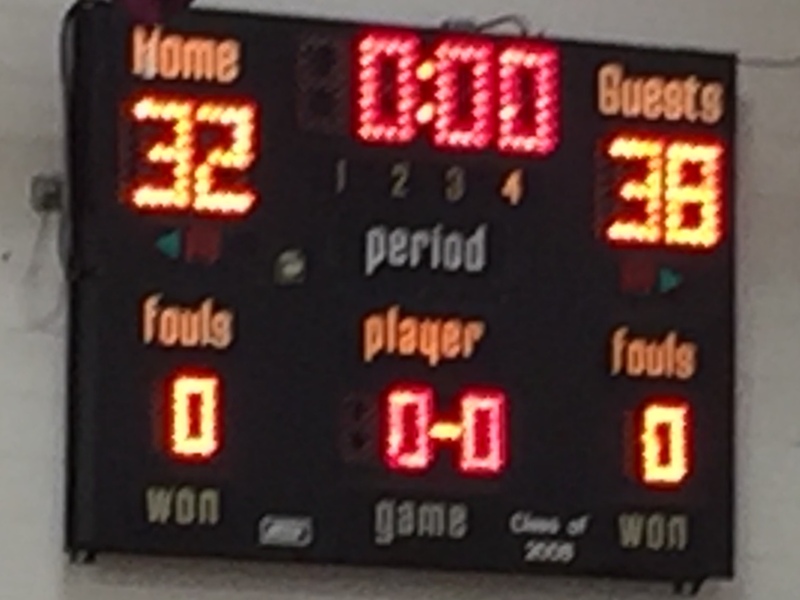 The boys took an early lead and built it up to 16 but some three point shots by Cornerstone cut it down to six but the boys played hard and closed out the victory. 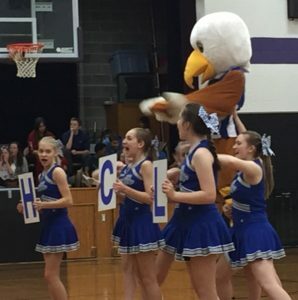 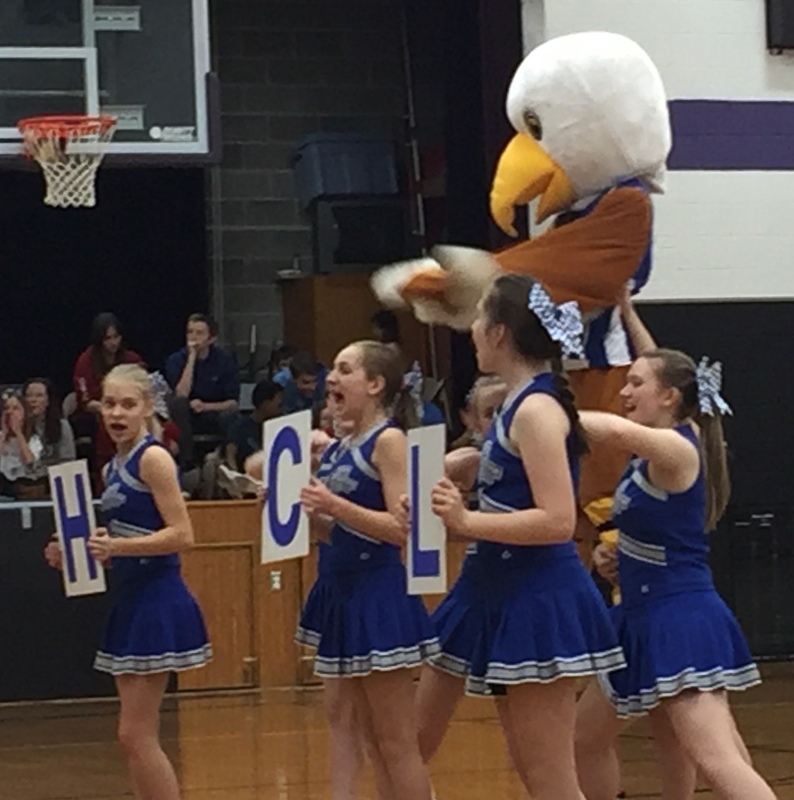 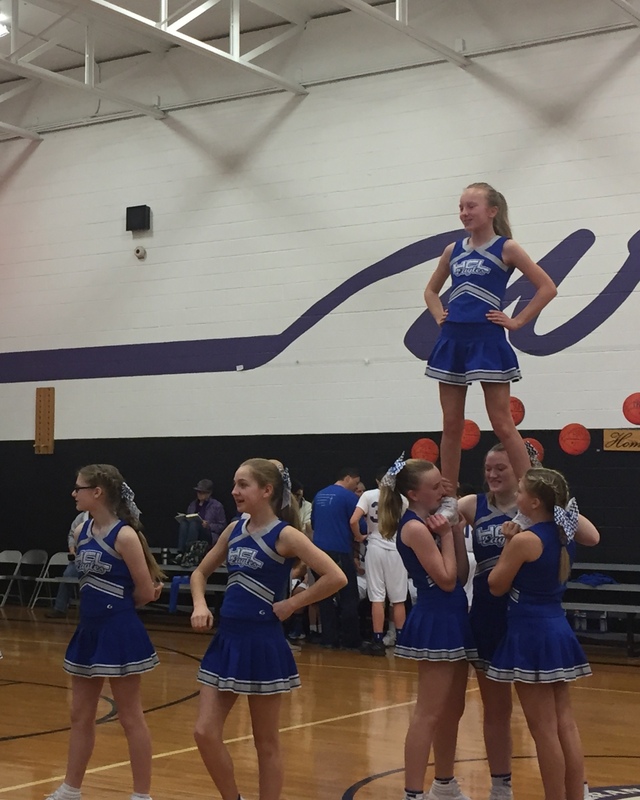 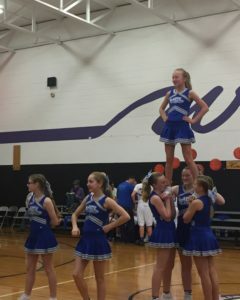 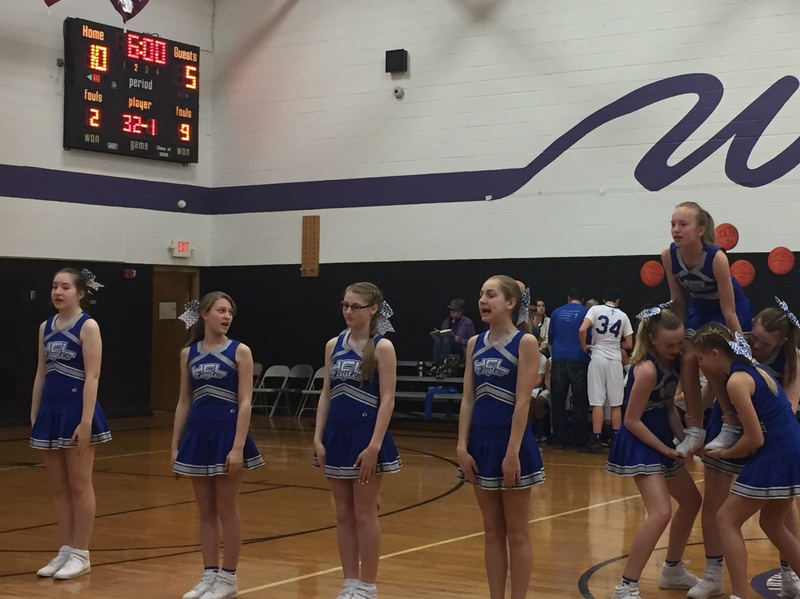 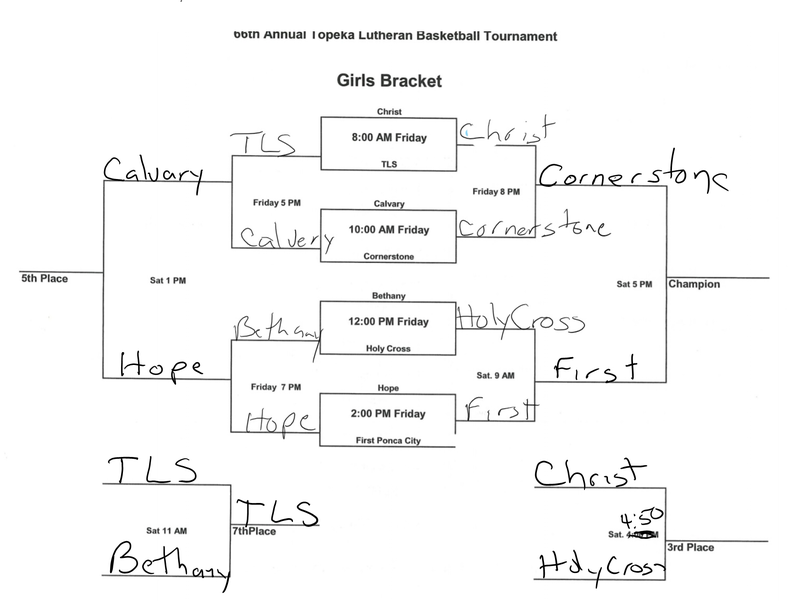 The girls team played on of their best games of the season and defeated Christ Lutheran of Kansas City 28-16. 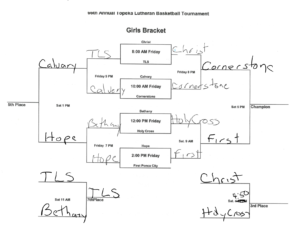 The win gave the girls a third place finish in the tournament. 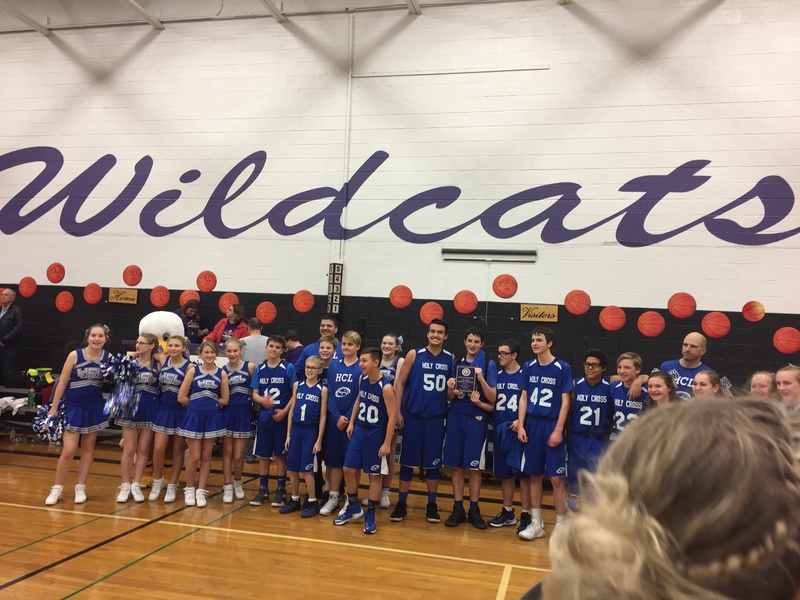 Both teams ended the season with a great Topeka Tournament. 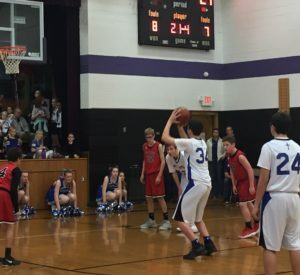 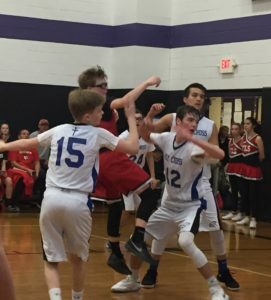 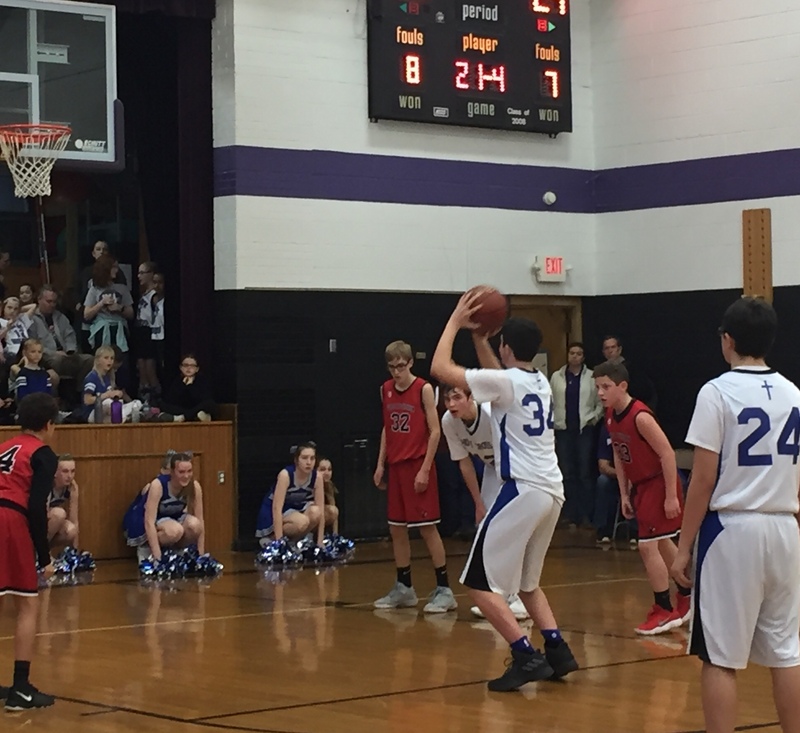 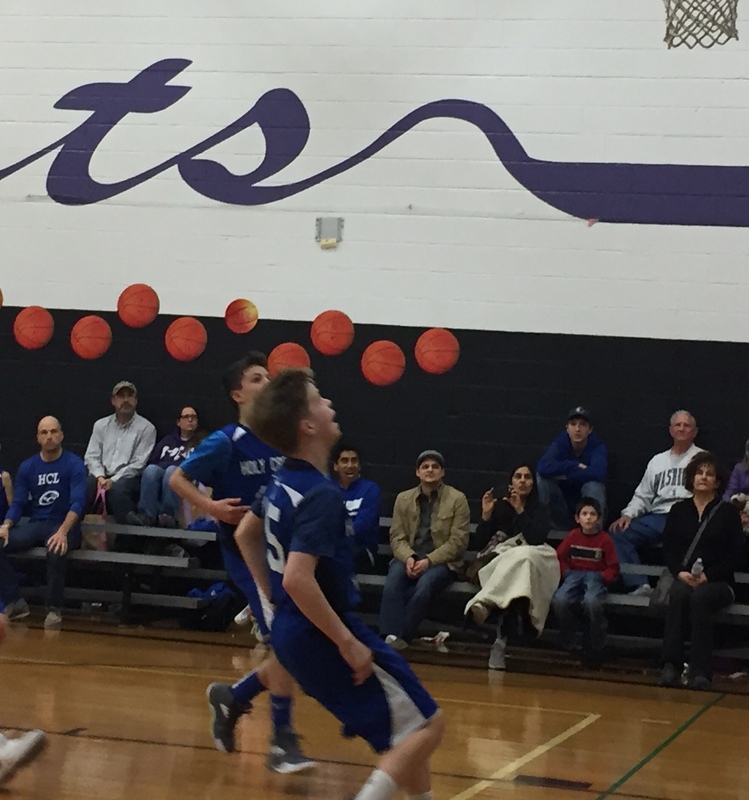 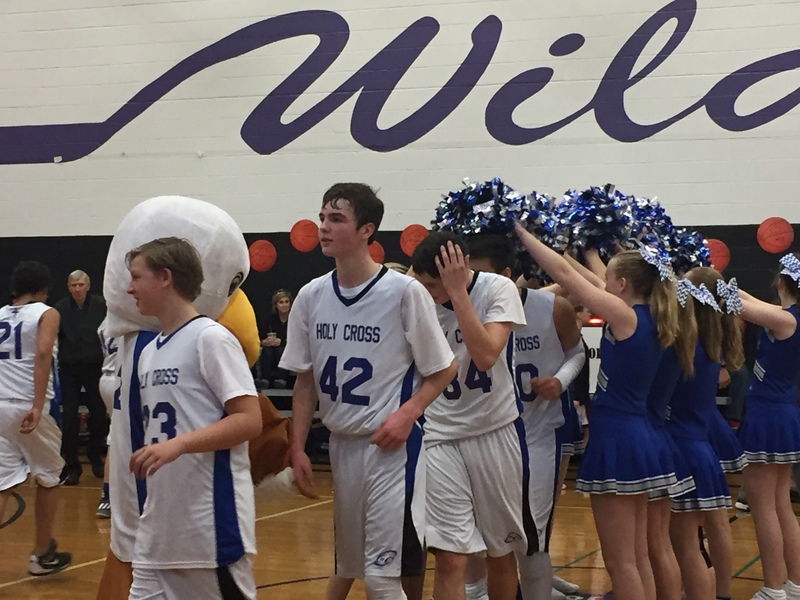 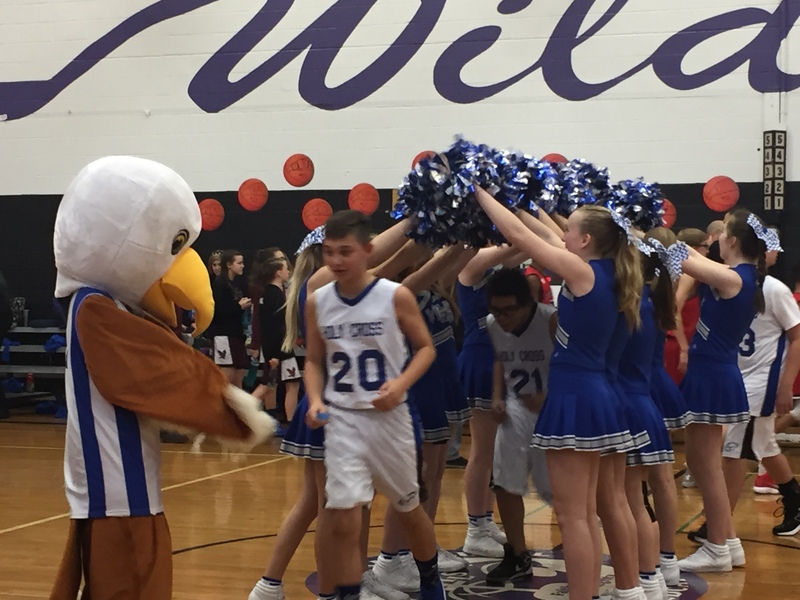 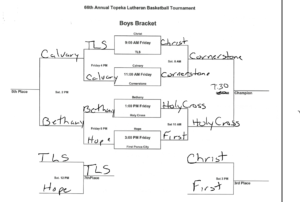 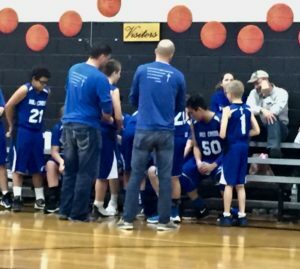 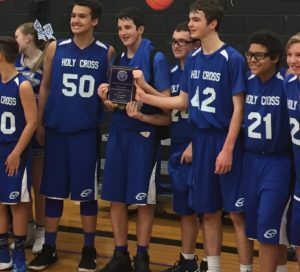 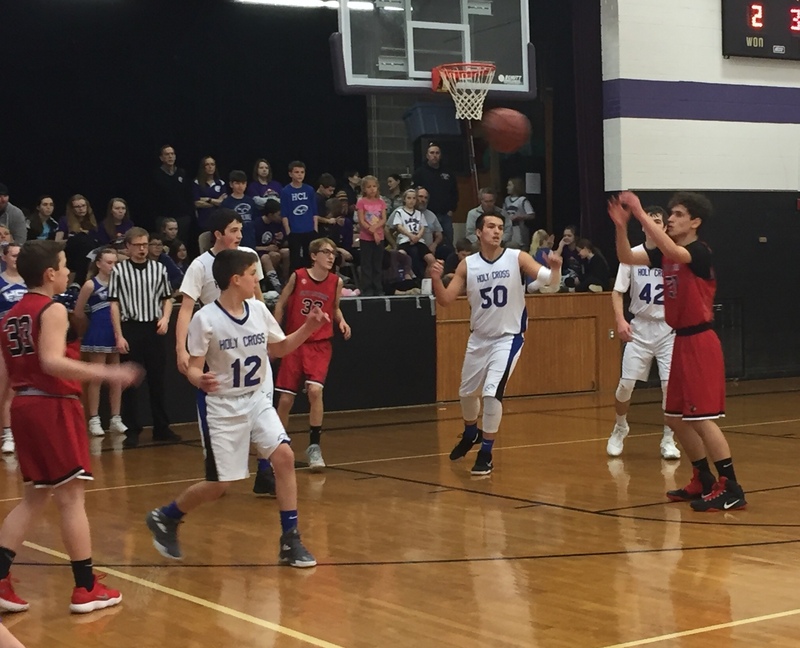 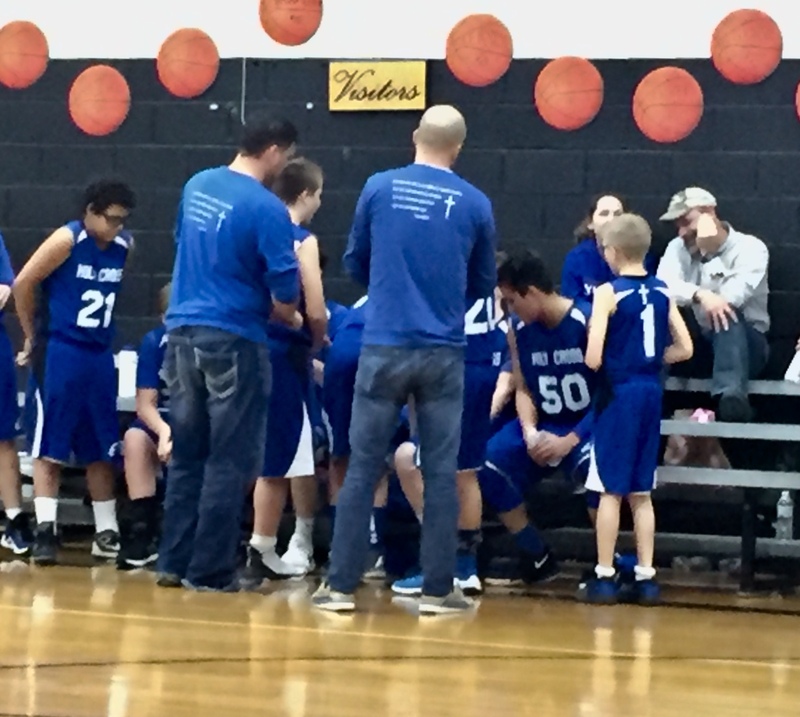 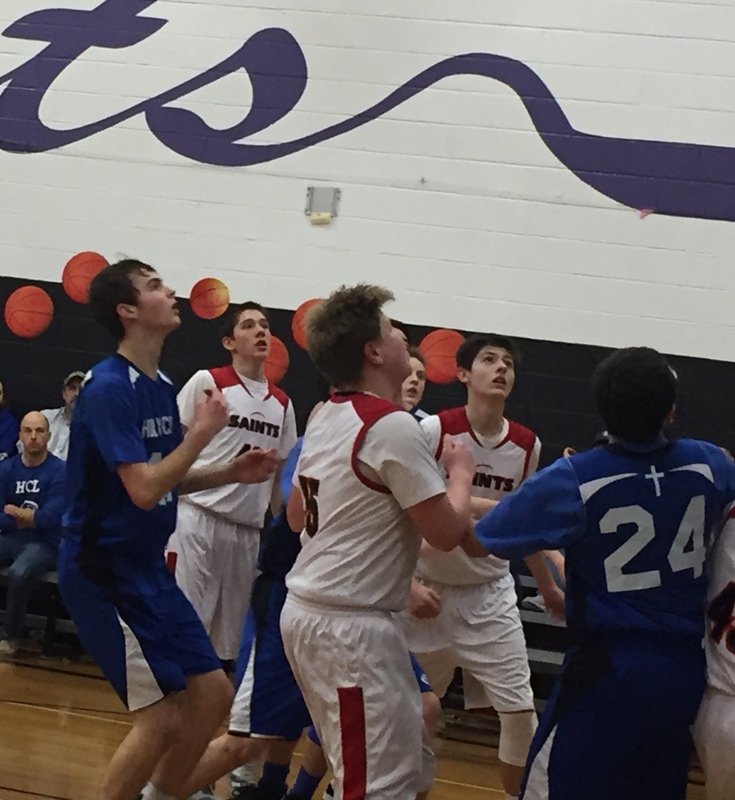 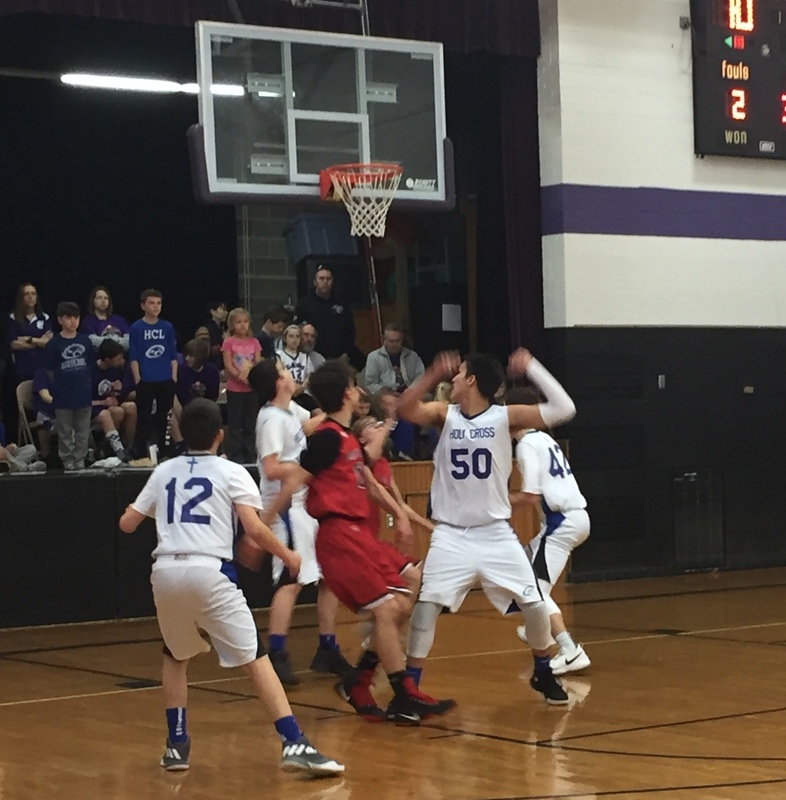 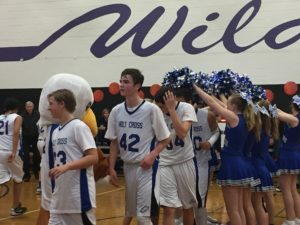 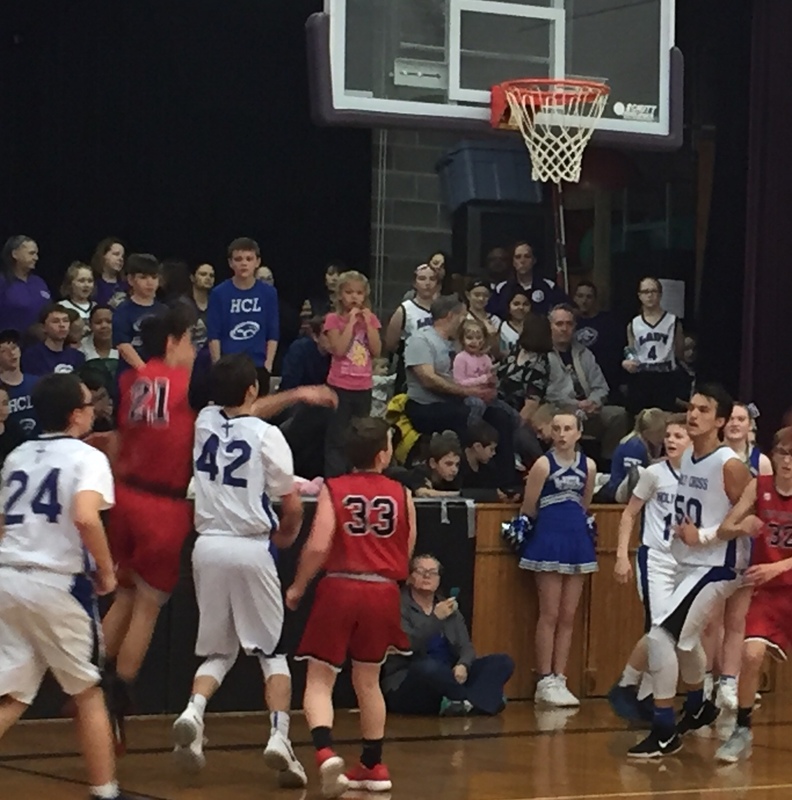 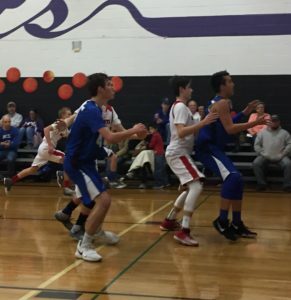 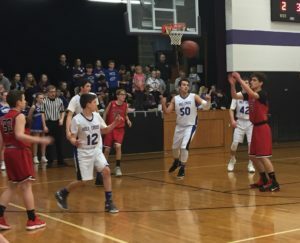 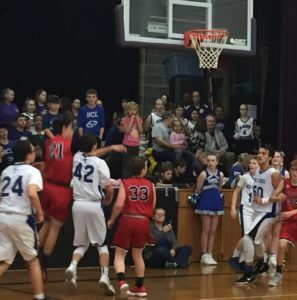 The Holy Cross boys team will take on Cornerstone tonight for the championship of the Topeka Lutheran basketball tournament, The girls will play Christ Lutheran for third. 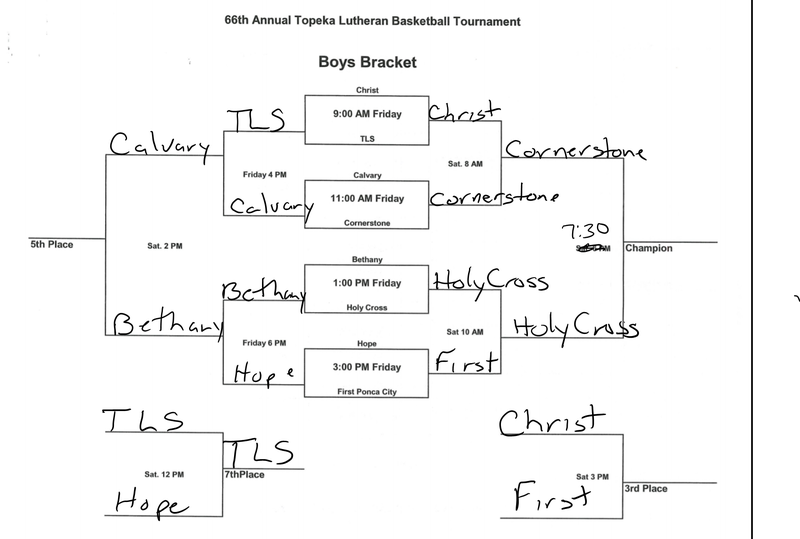 Both teams played First Lutheran out of Ponca City in the semi-finals.